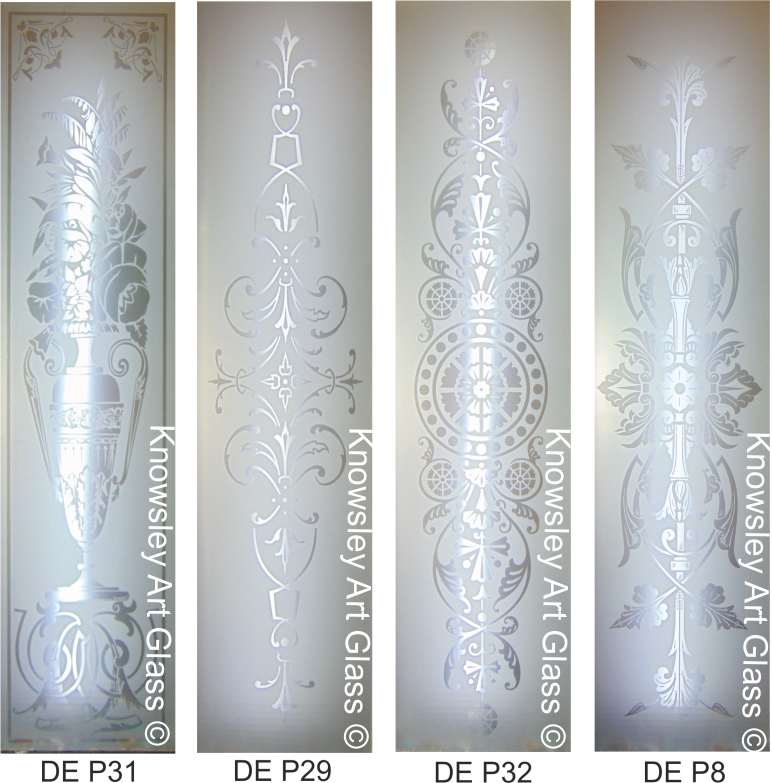 Though our Acid Etched Glass looks similair to Satin Glass it is actually not Satin Glass, this is a type of etched glass Ron Kett our founder made to be similair but uses different and safer techniques to make compared to Satin Glass. 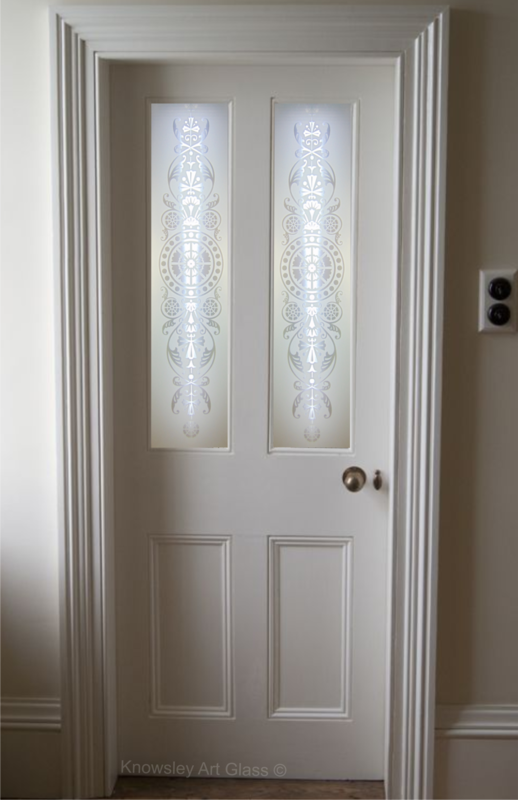 Acid Etched or Satin Glass is the perfect privacy glass, often privacy glass is used in bathroom doors, the front of houses or anywhere else were clear glass would not be suitable. 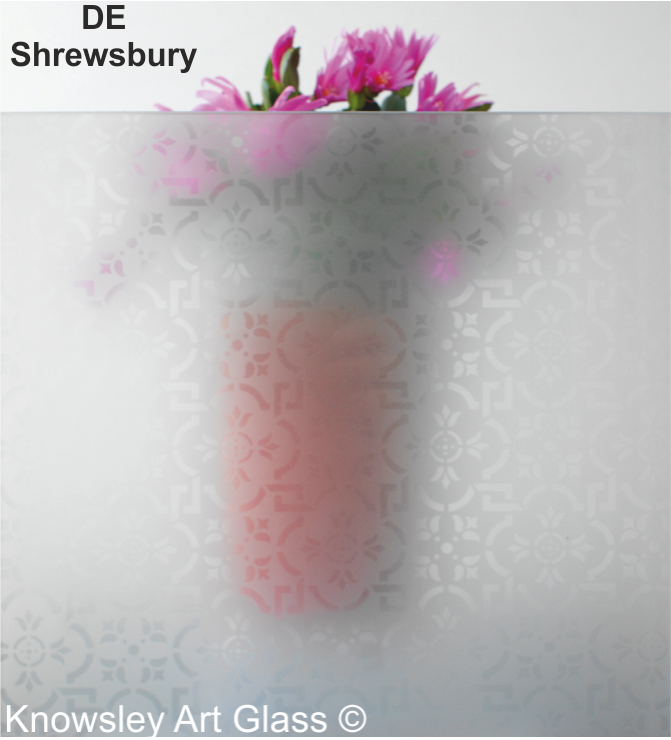 Unlike the standard etched glass, our satin glass/acid etched glass has a completley etched appearance. 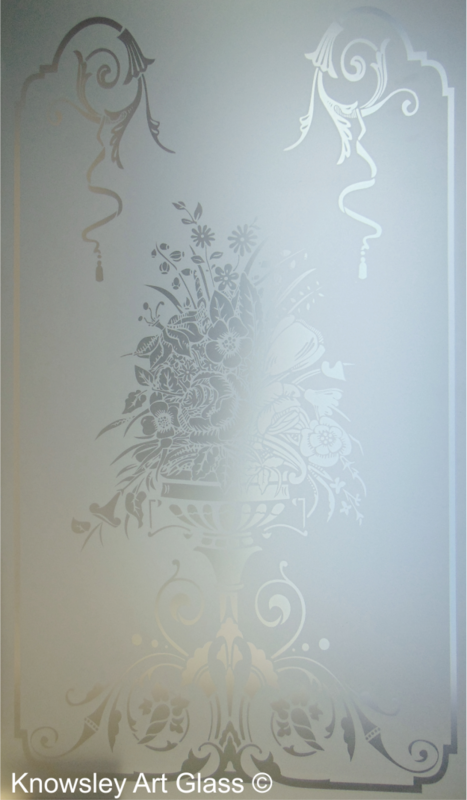 This etched glass technique has two grades of etching, with the background of the glass being sandblasted with aluminium oxide and the glass design is etched with a different grade of aluminium oxide. Leaving the impression of the glass design but also giving the total obscurity and glass privacy where required. 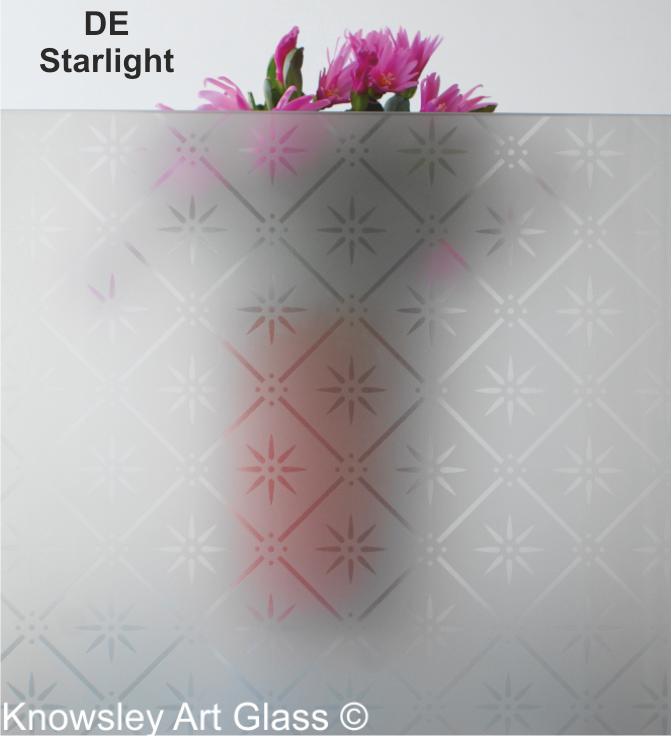 We do stock a standard range of satin glass panels, these are kept in our glass racks so when required, customers can give us their sizes and we can cut the satin glass panels to size, toughen the glass and send the satin glass out to the customer. 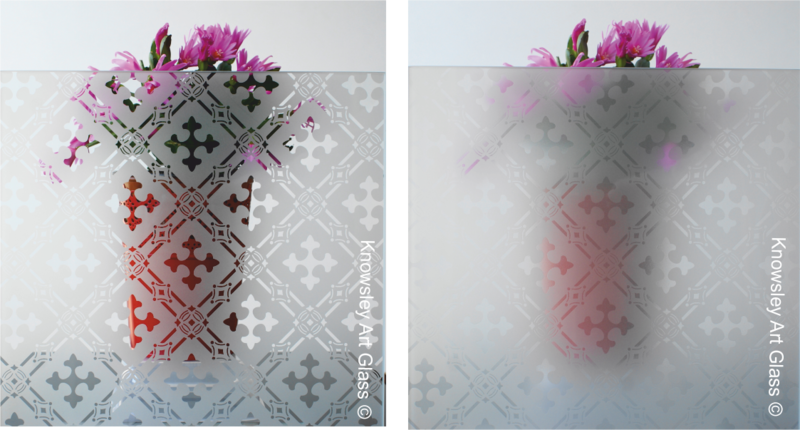 Please see below to see the difference between our standard etched glass(left) & our Satin etched glass (right). reproductions from the Victorian era. 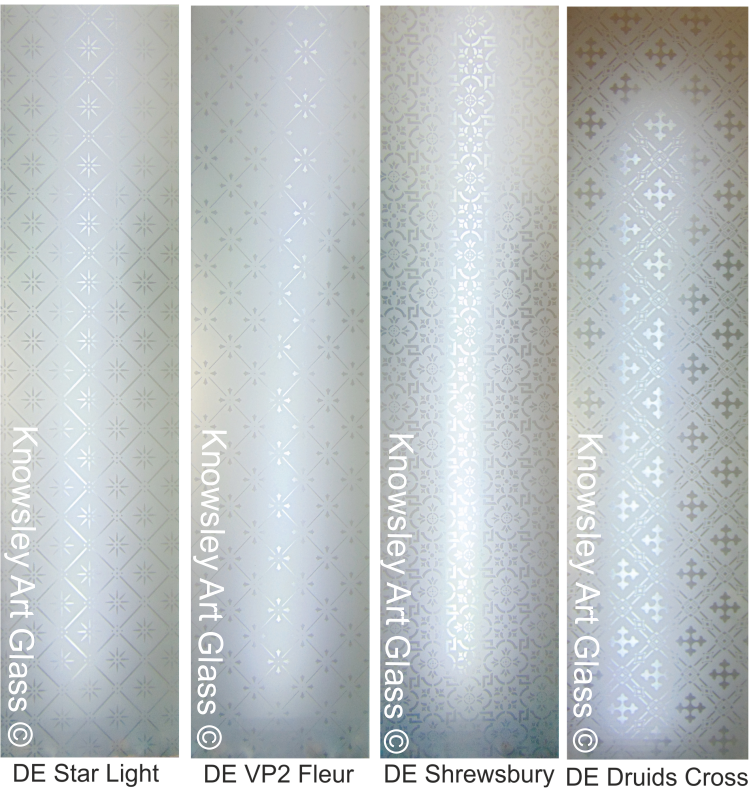 idea levels of obscurity our satin glass & acid etched glass provideds. stock sheets or may be supplied cut to size and toughened. also the satin glass maybe made into double glazed units. special orders can be made for 6mm. even make the darkest of rooms look bright. This type of etched glass or satin glass is popular within front doors of terrace houses and bathrooms for that extra bit of privacy. Please see images below for our repeat satin glass patterns in a malton door. Please see below for retail prices. Having trouble getting the sizes for your glass? We can help you with instructional walkthroughs and videos, please visit our Measure Up page. Please Note- if you require delivery your glass will have to be toughened. This is a saftey regulation and we cannot by law send it by post un-toughened. 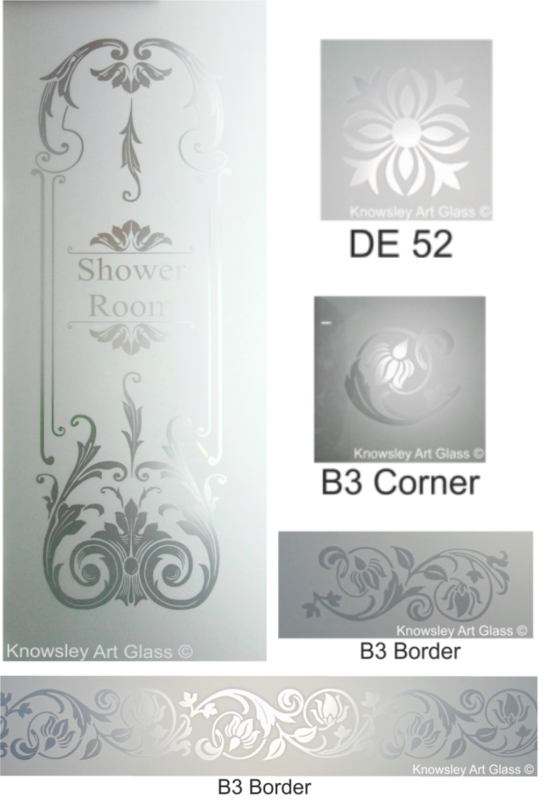 Alternativley if you want annealed glass you can collect it from our premises yourself. are faithful reproductions from the Victorian era. We have four standard single panel designs to choose from. if your sizes exceed this there will be extra charges. glass maybe made into double glazed units. Please see images below for our central satin glass patterns in a malton door. 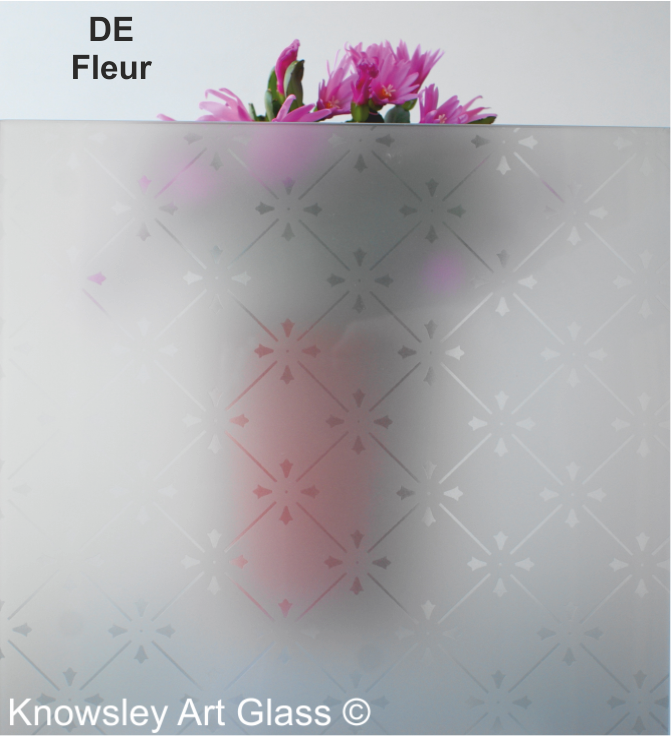 Find more wide panel designs here. 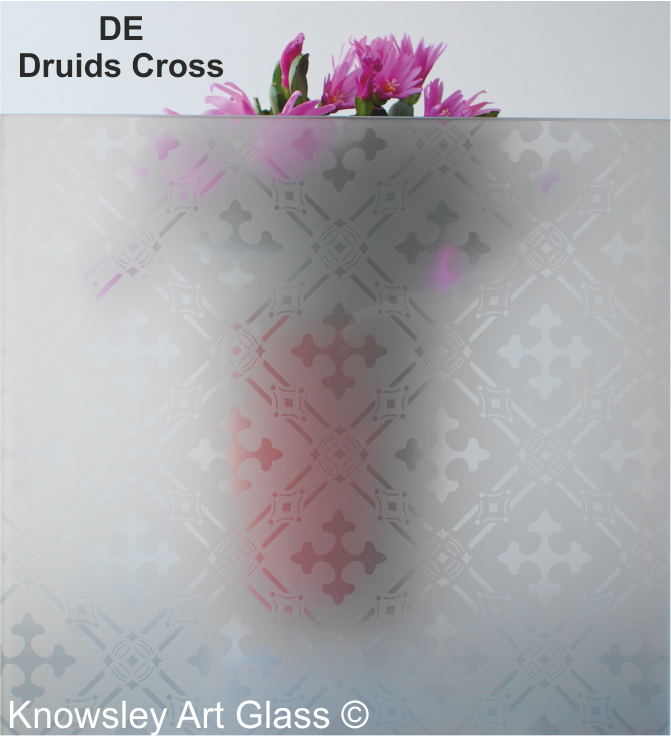 vase design complete with victorian border. there will be extra costs. DE Borders, Corners & Center For Downham Doors. 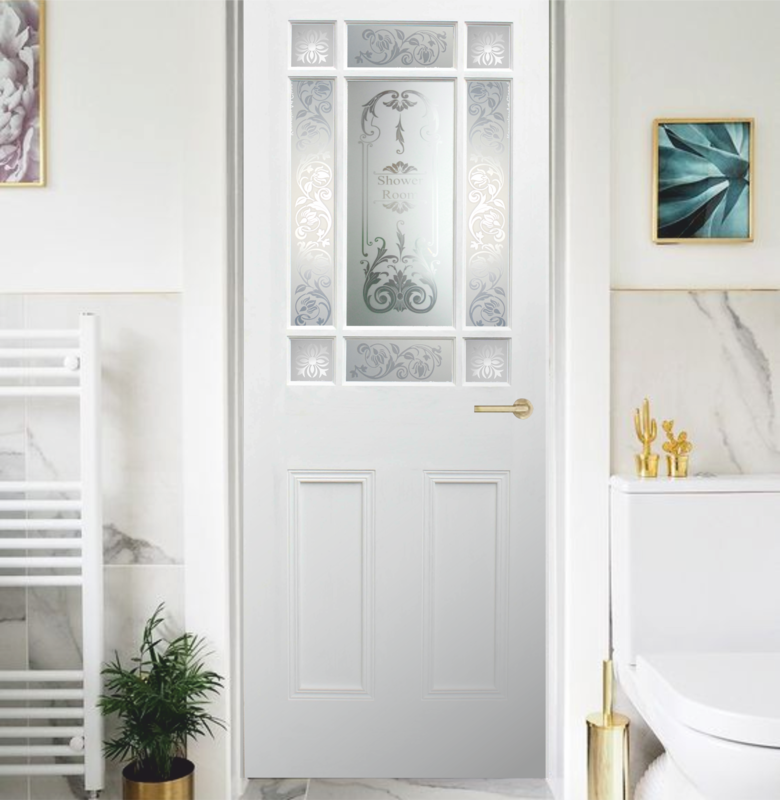 Known as Downham Doors, with an satin glass & acid etched center, these glass panels are perfect for bathroom doors or anywhere else needing obscurity. information on measuring up please contact us we are always here to help.